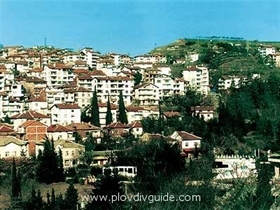 The town of Sandanski is located in the southwest of <?xml:namespace prefix = st1 ns = "urn:schemas-microsoft-com:office:smarttags" />Bulgaria, in the skirts of the Rila Mountain, about 173 km south of the capital city Sofia, and 22 km north of the Koulata border checkpoint. The town is an international spa resort with unique thermal springs. The Sveti Vrach park features 200 types of Mediterranean plants, that one can found nowhere else?.